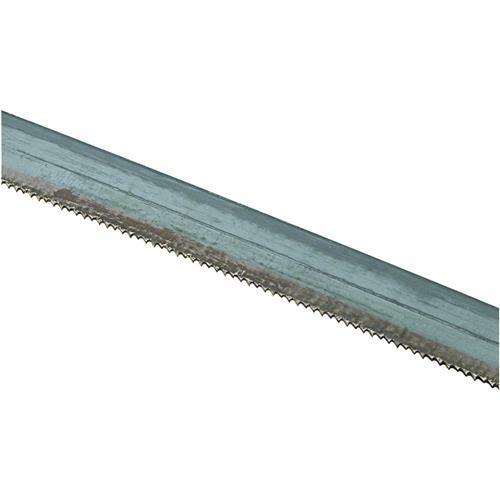 Specifications:Length: 85"Width: 3/4"TPI: 14 rakerGauge: .032"
This is a very stable saw. Built well; should last decades if taken care of. The hydraulic saw arm is very nice. 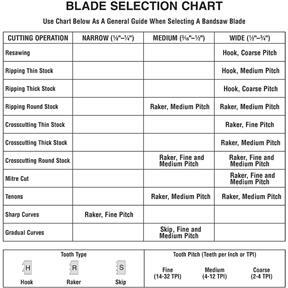 It allows you to adjust cutting feed minutely, thereby preventing blade lockups on the material you are cutting. It also gives you the time you need to adjust your coolant feed exactly the way you want it. I bought an extra blade for mine to have when its time to change it out.